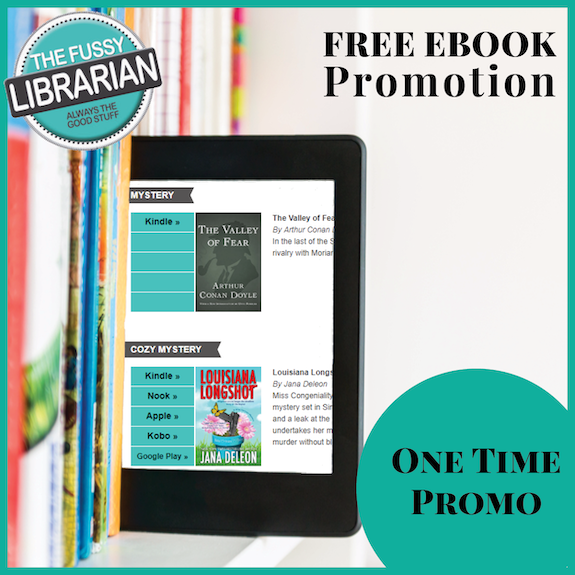 Increase reviews and future sales when you promote your free ebook with The Fussy Librarian! 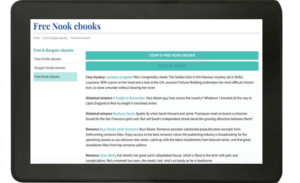 Maybe you’ve already seen the benefits of offering an ebook for free — the influx of reviews from readers who needed that extra nudge to take the plunge on a new author; the rise in sales of other titles; the increase in exposure and name recognition. We’d be thrilled to help you keep up (and boost) that momentum by running a promotion with us. … then why not test this low-cost marketing method and promote your free ebook to our list of avid readers? CLICK HERE TO SCHEDULE YOUR PROMOTION NOW! 175,000 readers currently subscribe to our free-ebook newsletter. We’re proud that 175,000 readers subscribe to our free-ebook newsletter. But we’re even prouder of the quality of our subscribers. 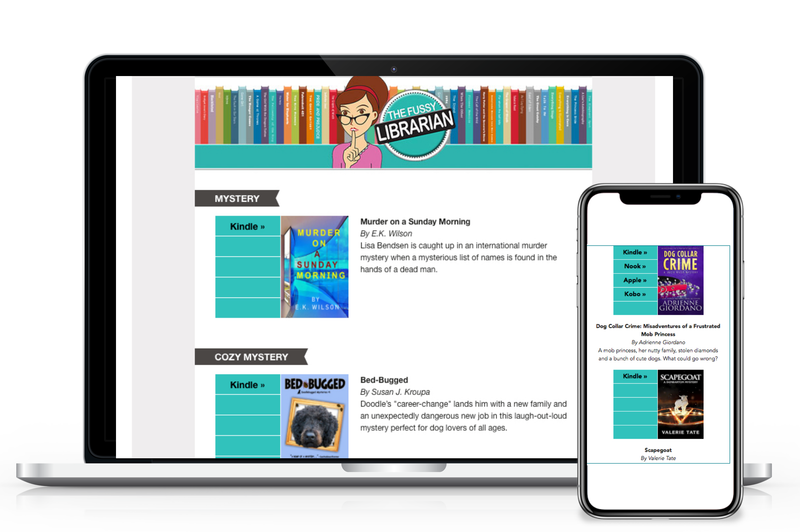 We’ve recruited (and continue to recruit) readers who specifically want free ebooks, on the frequency that they choose, in only the genres they pick. There’s no risk of spray-and-pray marketing. We spent $175,000 in 2018 to build an audience of people who love to read. And they’re eager to read your book. Like you, our work is our passion. We reinvest your promotion fees into marketing and advertising efforts to ensure that as many avid readers as possible will see the next book you list with us. It’s about as virtuous as cycles can get. But why should you share your hard work for free? Giving away one book now pays off over the long term as you gain lifelong fans like Jane who will now buy, review, and share with friends and family. Our goal: Provide an affordable, accessible, and effective marketing tool for authors. If you have a few bucks and a book, we have a pool of readers who are passionate about your genre and willing to try new authors. Your book will be listed on our website for each day of your giveaway, even before it appears in our email newsletter. Perma-free books will be listed for two weeks, including on the home page of our website. Want to send clicks to InstaFreebie, Author Reach, or your own website so you can collect email addresses? We can do that, too! “We have been promoting the Hannah Howe mystery series with The Fussy Librarian for three years. Thanks to our promotions with The Fussy Librarian, our mystery series has reached the number 1 position on six separate occasions and number 2 position on 26 separate occasions. When we promote with The Fussy Librarian, we ALWAYS reach a top 5 position! “The Fussy Librarian staff is awesome! They are experts, attentive, and responsive. Their tools and tips make an author’s job easier. Spencer Funeral Home Niagara Cozy Mystery Series. 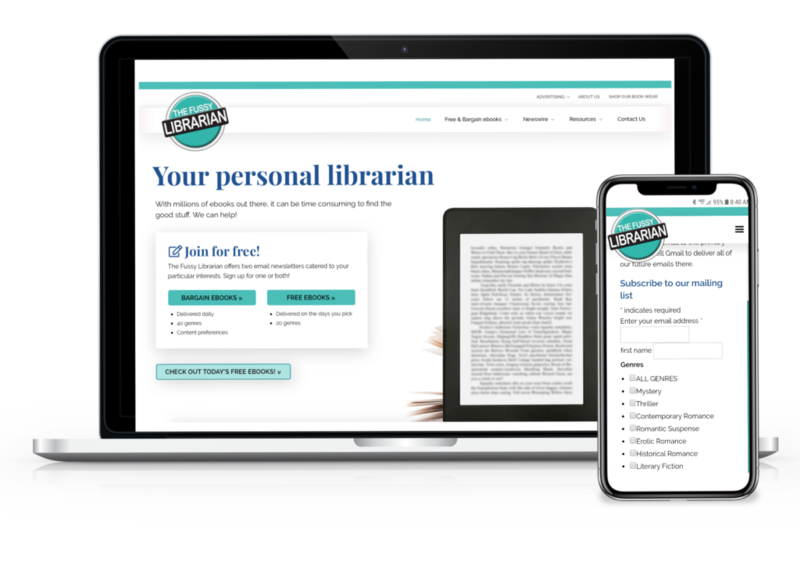 “I have promoted my books with many sites over the years but always come back to The Fussy Librarian. Next-day service at no extra cost! Great service shouldn’t cost more. That’s why we offer next-day service at no additional charge when you order by 6 PM CST. Ready to set up your free-ebook promotion and get results? Looking to promote more than one book? Email us at headlibrarian@thefussylibrarian and we’ll take care of everything for you. © 2019 The Fussy Librarian.All Rights Reserved.